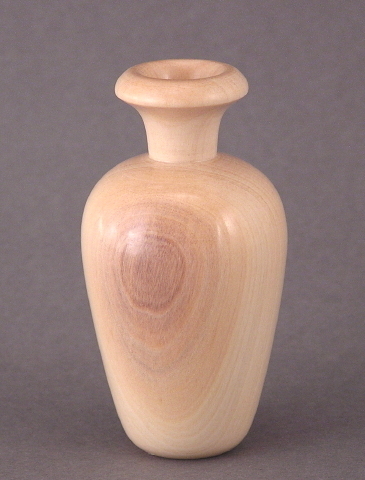 Damifino Pale Weedpot - TT069 [TT069] : No Skew Turns, Gifts handcrafted from the world's beautiful woods. This elegant Damifino weedpot has the faintest blush of lilac in the darker area. The figure on the backside is a set of progressively lighter nested teardrops. Like all other wood in the Damifino "genus" I have no idea what it actually is.